Needs are something that are a necessity to life. They are things that are required for us to live. Our basic needs, then, would be air, food, water, clothing, shelter. 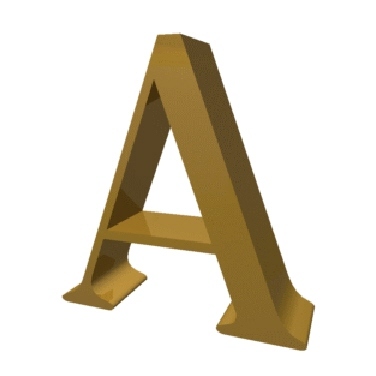 We would need some form provision that would give us those things. He has riches that are above money, and He promises us believers, those who are in Christ Jesus, that He will meet all of our needs gloriously! He can provide the things we need from His riches in heaven–there is no limit with God. So, we believers, should trust Him for our needs. Memorize this promise and worry no more about your basic needs, for God will liberally supply you daily, and He will do it in ways you cannot even imagine! What a wonderful God we have! What a wonderful Promise He has given to us! Let’s claim it and walk in it daily! 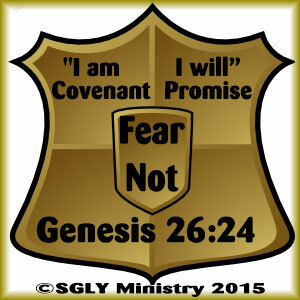 Believers–the Lord Almighty says He will be a Father to us! Perhaps your earthly Father wasn’t the best, perhaps he let you down, or left you, or maybe you never even knew him. 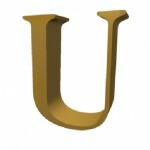 Perhaps, because of that, you are lonely, feeling unloved–unwanted–empty…. well, then this verse is especially for you! As a believer in Christ, you have the greatest Father that anyone could ever hope for! You have a Father that loves, cares, never leaves, strengthens, protects, provides, blesses, and helps. You have a Father that will never let you down. He will always be by your side. You are never alone if He is your Father. 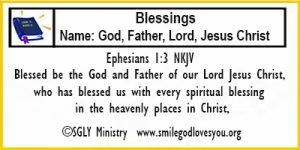 Your Father is Almighty and He loves you with an everlasting love! He will always be with you in good times and bad times. Rejoice in this and never feel lonely again! Memorize this promise and give thanks daily that in Christ, you are God’s son or daughter. You are a child of the Most High–God Almighty–Ruler of Heaven and Earth! Hallelujah! Joshua and his people of war and mighty men of valour, had previously fought and won two great battles, one of which was Jericho. 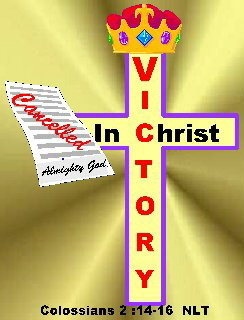 because the LORD God had given victory. 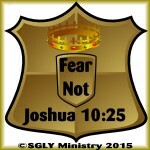 Now, Joshua and his troops had defeated five more cities and their Kings, because the LORD had told Joshua He was giving them into his hand to conquer. 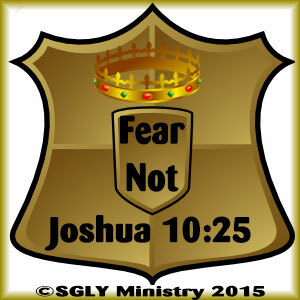 So, Joshua again is telling the people of Israel to “Fear not” for the LORD would continue giving them victory over their enemies, as He had done, if they would remain loyal to Him and honor and obey Him. And so shall the LORD do for us. 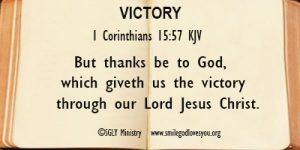 In Christ we have the victory over sin and death and God will continue to protect, provide and give us victory over any enemy that might try to come against us, if we trust Him and obey Him daily. 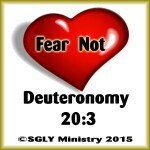 Memorize this verse and “Fear not, nor be dismayed, be strong and of good courage” for the LORD is with you. In this verse we see the LORD having a conversation with Isaac, the son of Abraham. The LORD is telling Isaac that He is his provider and protector in the present and in the future. 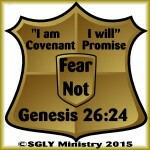 He is guaranteeing Isaac that He remembers His Covenant that He made with Abraham and that He intends to keep His promise. Therefore, let’s memorize this verse and claim it’s goodness. For in Christ, the LORD is our God, He is with us, He will bless us, and He will multiply our seed as well. Give Him thanks and praise, for who He is! And give thanks and praise for who we are in Christ! Believers, we are the upright. In Jesus we are upright, righteous because of Christ. Jesus is our light in the darkness. He is gracious, and full of compassion. He is righteous. He is our righteousness. Let’s memorize this verse and give thanks that for who we are in Christ. Believers, once we believed and received Jesus as our Savior, our sins were removed from us forever, never to return, never to be remembered–gone as if they never were. Memorize this verse to remind yourself daily, that in Christ you have been forgiven. So far hath he removed our transgressions from us – That is, he has put them entirely away. They are so removed that they cannot affect us any more. We are safe from all condemnation for our sins, as if they had not been committed at all. Compare the notes at Isaiah 43:25; notes at Isaiah 44:22.